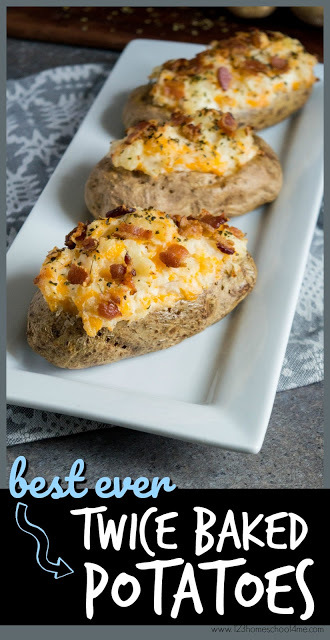 These are the BEST twice baked potatoes you’ll ever taste! 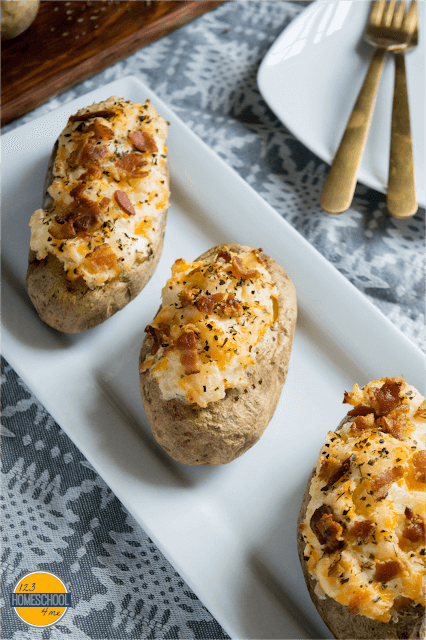 They are easy to make ahead as the perfect side dish to anything, they look picture perfect every time, and they taste so creamy and flavorful! These are our family-favorite recipes you will find on our table during the month of December. They are tradition; super yummy and requested every year! 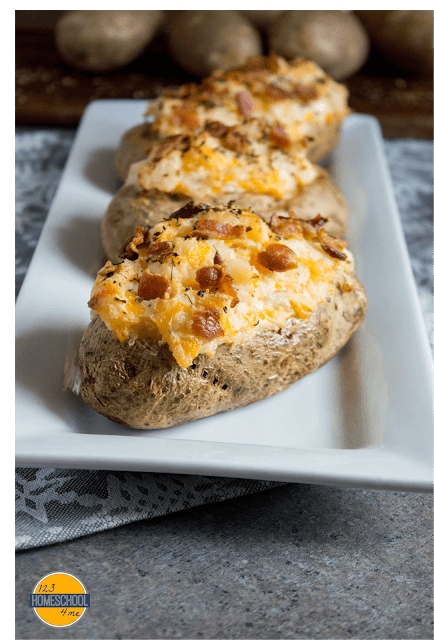 One of my favorite ways to eat potatoes is by making them into this BEST Twice Baked Potatoes. I’ve been told they taste better than catering versions! 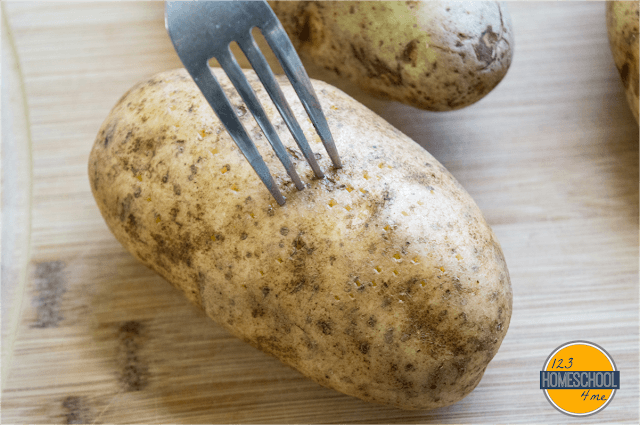 Start off by washing, scrubbing, and piercing your potatoes with a fork. Then cook potatoes at 375 F for 1 and 1/4 hour. NOTE: You are welcome to microwave them for 20 minutes instead if you need to speed it up! 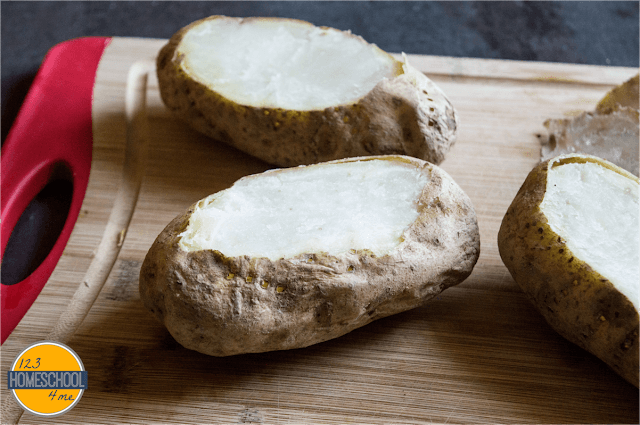 Once potatoes have cooked and cooled slightly, use a spoon to scoop out the inside of each of the potatoes and reserve. They will look like little potato boats! 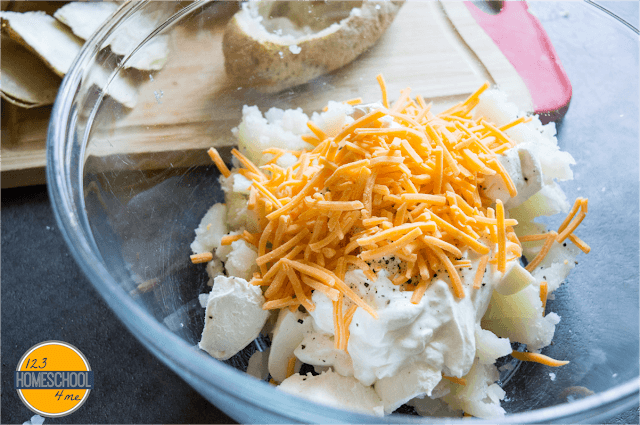 Mix the reserved potato insides with cream cheese, sour cream, cheddar cheese, butter, and salt & pepper. Carefully spoon the mashed potato mixture back into your potato boats. I like to top with oregano and cooked, crumbed bacon – YUM! Bake in a 9×13 pan or baking sheet for 45 minutes at 350-375 F or until heated thoroughly. The reason I have a range of oven temperatures is these are super easy going and just need to be heated. So make the oven whatever temperature you need to cook your other dishes! These are seriously AMAZING! Your guests will be wowed by the beautiful look and amazing flavor. I’ve been told many times these taste better than twice baked potatoes people have had at fancy restaurants. These are easy to make, perfect for making ahead, and taste AMAZING! We like to serve these at Christmas and Easter with ham, but they go great with turkey, steak, and chicken too! 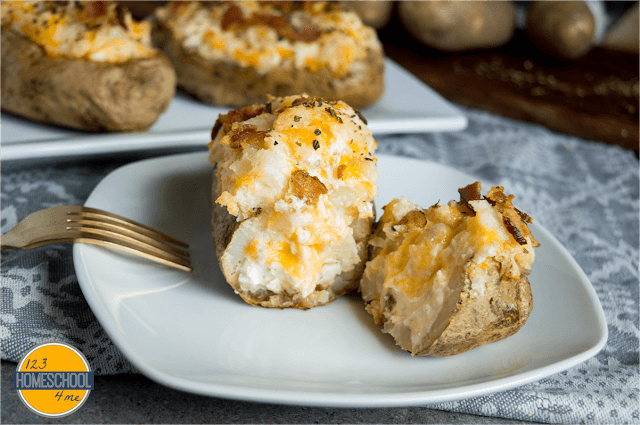 These are the BEST twice baked potatoes you'll ever taste! 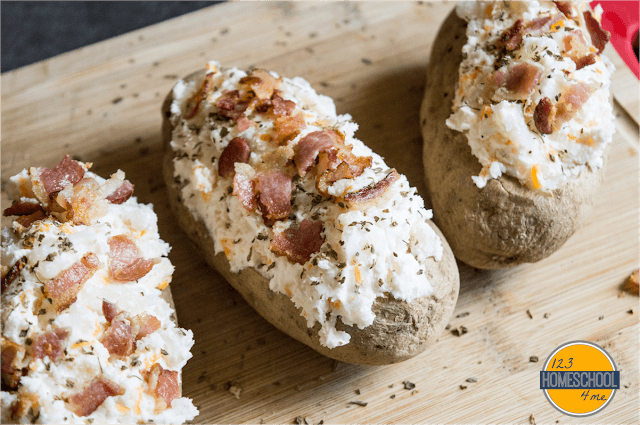 They are easy to make ahead as the perfect side dish to anything, they look picture perfect every time, and they taste so creamy and flavorful! Wash, scrub, prick with fork, and bake potatoes at 375 F for 1 hour - 1 1/4 hour. Allow to cool to the touch. Scoop out the insides of the potatoes and put in a bowl. Mix the cream cheese, sour cream, cheese, butter, salt and pepper together until creamy. Spoon back into potato mangers (should be heaping over top a little). Top with cooked baton and oregano. You can cook right away, or cover and store in the fridge for up to 4-5 days. When ready to cook cook at 350-375 F (whatever your other dishes need to cook at) for 45 minutes or so. Until heated thoroughly and inside looks melty and yummy!